SIOUX FALLS, S.D. - A man with a history of mental illness was sentenced to death by a jury on Monday for killing a South Dakota hospice nurse as part of a plot to assassinate President Barack Obama. James McVay had pleaded guilty but mentally ill to a murder charge in 2012 in the stabbing death of 75-year-old Maybelle Schein. The Sioux Falls jury chose the death penalty, though jurors could have sentenced him to life in prison without parole. McVay, 43, said he killed Schein and stole her car as part of his plan to drive to Washington and kill the president. Authorities said McVay walked away from a minimum-security prison in July 2011 in Sioux Falls and was mixing cough syrup and alcohol when he climbed under Schein's slightly open garage door, entered her house, killed her and drove away in her car. After Schein's car was reported stolen, police used a tracking service in the vehicle to find McVay on Interstate 90 near Madison, Wis. He was arrested after a brief chase. Madison Police Officer Kipp Hartman testified that he was trying to get McVay to reveal his name when McVay began saying he "killed a little old lady" in South Dakota and stole her car to get to Washington, D.C., to kill the president. Prosecutor Aaron McGowan said McVay stabbed Schein nine times, with the final blow cutting her vocal cords and carotid artery, causing her to bleed to death within 16 seconds. But public defender Traci Smith on Monday said McVay's characterization by the prosecution as monstrous didn't square with the facts of the case or his history, the Argus Leader reported. Smith said McVay's mental health wasn't properly monitored or cared for by the prison staff. She added that McVay poses no threat when his illness is cared for. "The state has continually downplayed the effect of mental illness," Smith said. The jury, made up of seven men and five women, agreed last week with prosecutors that McVay's crime met two aggravating circumstances that would allow the state to impose a death sentence. The first deemed the offense outrageously or wantonly vile, horrible, or inhuman; the second found that the defendant committed the offense for his own benefit or the benefit of another. 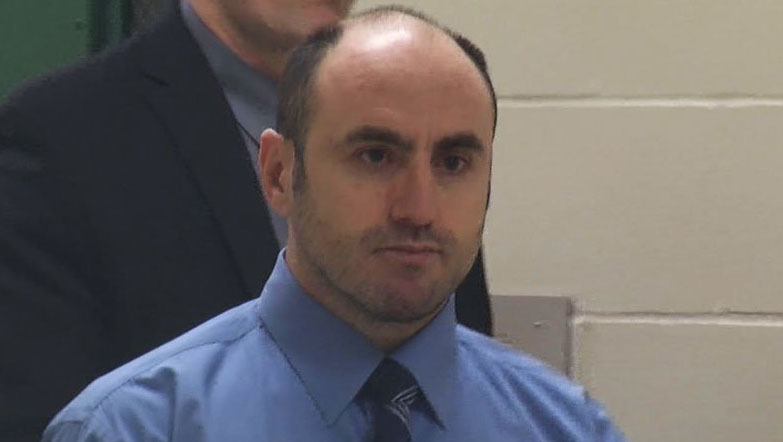 Public defender Amber Eggert during the trial argued before the jury that McVay has suffered from mental illness as well as alcohol and drug issues for much of his life and his life should be spared. She said that the night before the killing, McVay mixed alcohol with a DXM-based cough syrup, which can cause hallucinations. McVay said he awoke briefly at 3 a.m. to find spiritual entities surrounding him and awoke again hours later to find them still there, telling him to follow through on his plan, she told jurors. "That was the sign he was going to get the transportation and the final stuff he needed before going to Washington, D.C.," Eggert told the jury. Richard Dieter, executive director of the Death Penalty Information Center, earlier this month said the death penalty is traditionally reserved for the worst of the worst, and it's rare for a state to seek the punishment of death after finding someone guilty but mentally ill.
"I just don't know of any cases in which you have (such) a verdict, and then the state still seeks the death penalty," he said. Dieter said the guilty but mentally ill verdict gained popularity in a dozen states as part of the public outcry over John Hinckley being found not guilty by reason of insanity in 1982 in the attempted assassination of President Ronald Reagan. The jury on Monday deliberated for a little more than five hours. After the verdict was announced, McGowan said the jury "made a brave decision." "I think they made the correct decision," McGowan said. McVay's defense team did not speak to the media after the hearing. Some of them wept after the verdict was read, news outlets reported. Three other individuals are on death row in South Dakota: Rodney Berget, Charles Rhines and Briley Piper.